Born in North Vandergrift, PA Arthur Jon Pulos graduated in Art education from the Carnegie Institute of Technology in 1939. After serving in the Air Force during the Second World War, in 1943 Pulos earned a Masters in Silversmithing at the University of Oregon before becoming chairman of the department. From 1946 to 1955 Pulos was Associate Professor of Design at the University of Illinois, and continued his academic career with a move to Syracuse University in 1955 to direct the industrial design program, becoming chairman of the Department of Design in 1970 until his retirement in 1982. A scholarly writer, Arthur wrote Opportunities in Industrial Design, published by Vocational Guidance Manuals, NY in 1970, and then, his two-part masterpiece, American Design Ethic (1983) and American Design Adventure (1988), both unique narratives of the history of industrial design. To add to his academic career Pulos was a practicing industrial designer, founding Pulos Design Associates in 1958 and remaining in active practice until 1988. He was also a founding member and the last president of Industrial Designers Education Association (IDEA), which he ran from 1957-1964. In 1967, Pulos was awarded a Fellowship at the Industrial Designers Society of America, and in 1973 became its president, presiding over the relocation of IDSA headquarters from New York City to McLean, VA. 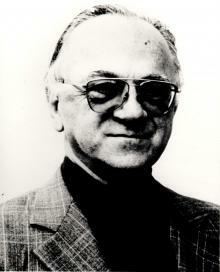 He was also president of the International Council of Societies of Industrial Design (ICSID) from 1979 to 1981.